The hull is composed by honeycomb carbon and Kevlar textiles, placed to form a sandwich structure. All the elements are made with the autoclave. We always look for new and sophisticated materials to improve the hull performance. 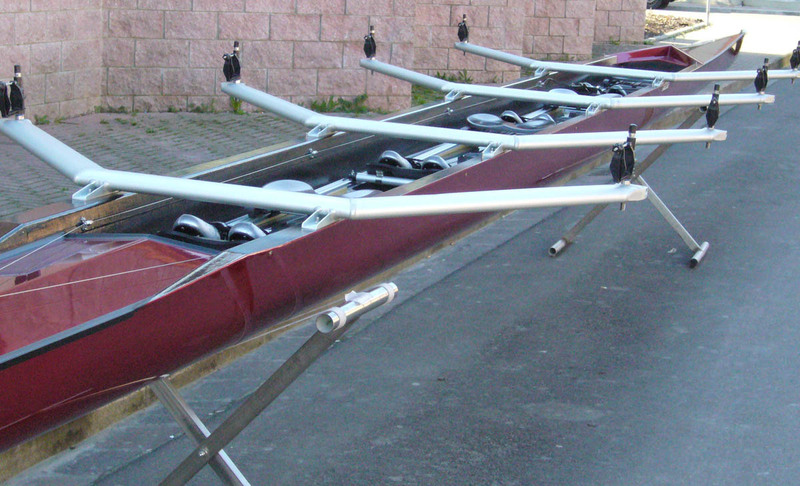 Available configuration: Èlite, Wing, Carbon and Pegaso 4X. 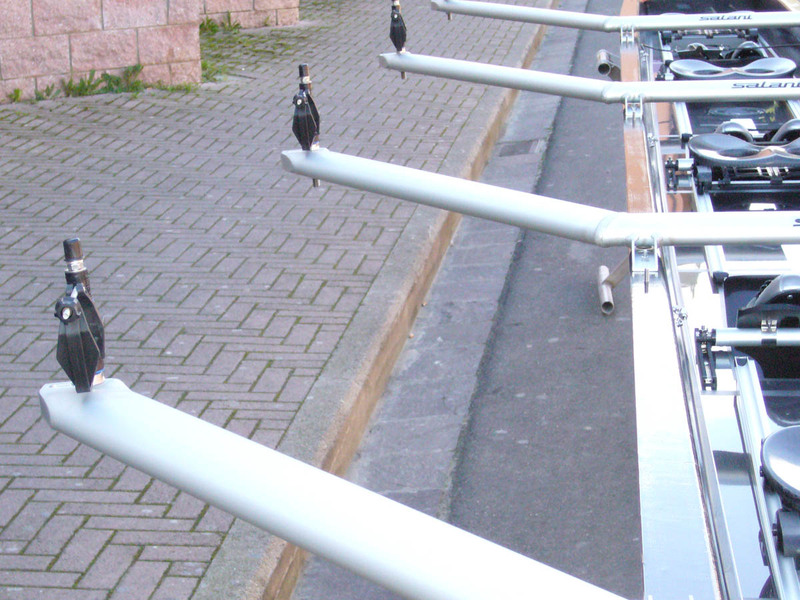 The boats that belong to series Wing are fixed with the wing-rigger in anodized aluminium. 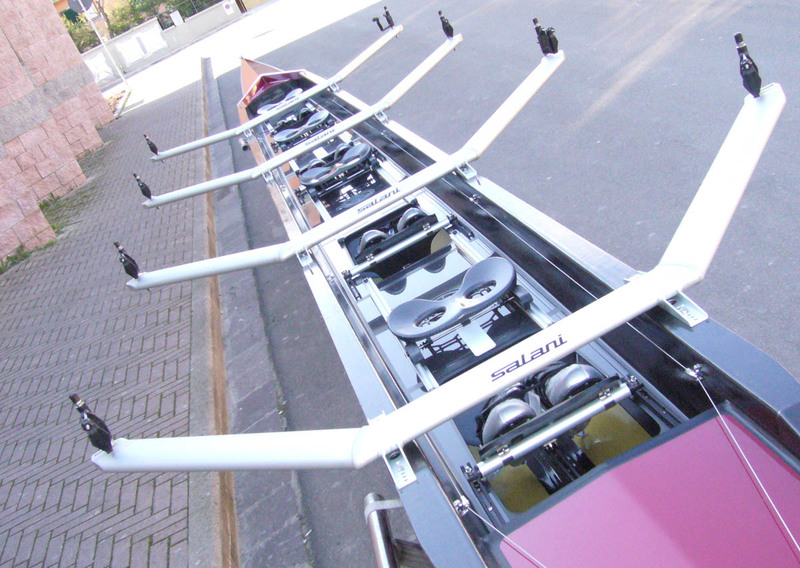 The hull is designed without internal shoulders and has got reinforced sides where the rower discharges his strength. 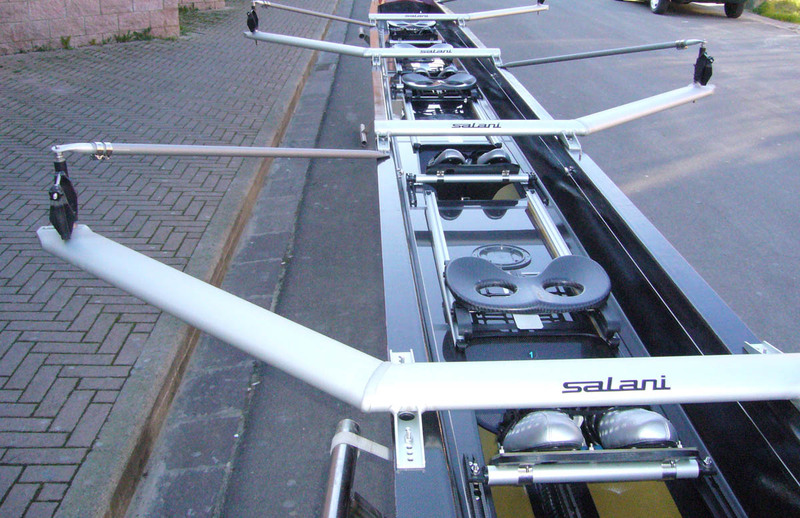 The hulls and the covers of Wing collection are produced using carbon fibres, Kevlar textile and epoxy resins. The hull and its components are subjected to catalyst processes (hot and airtight processes) that provide an excellent result in lightness and stiffness. 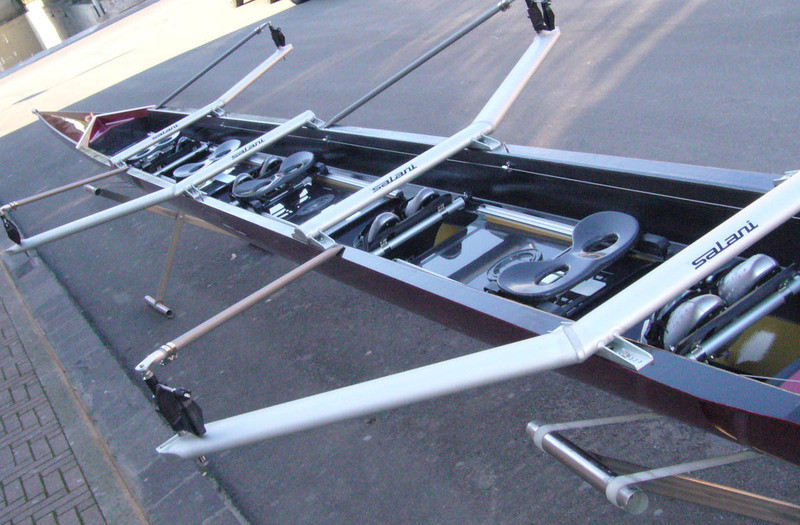 The internal components (ultralight carbon trucks with ball bearing chassis, rowing deck, bulkhead etc) are manufactured using prepregnated carbon, baked in autoclave. 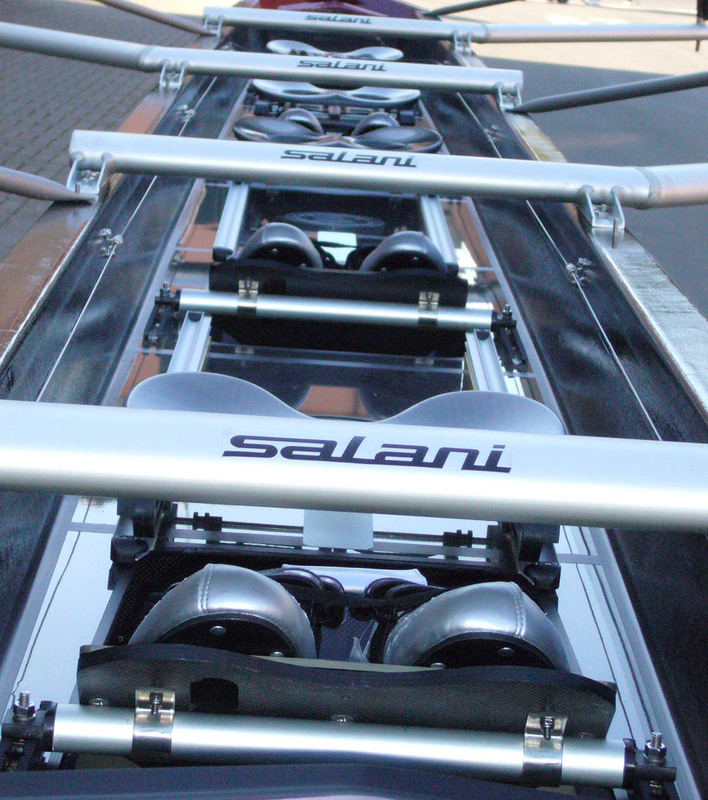 The multilayer and carbon foot stretcher is adjustable (in height and list) and has shoes. Weight and norms are guaranteed FISA. It is provided with a carbon mono-tube rigger made with the autoclave. 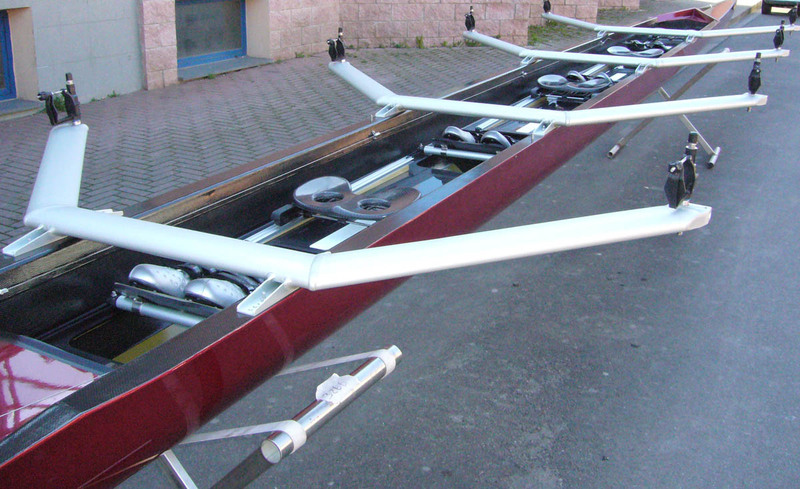 The boat structure is exactly the same of an èlite boat and it is composed by covers and hull, that has got internal shoulders, on which is fixed the carbon bearing. The internal components are produced with pre-impregnate carbon, then cooked in autoclave.